I had originally planned to head to Chengdu after Xi’an, another long train ride that would have moved me south into Sichuan. 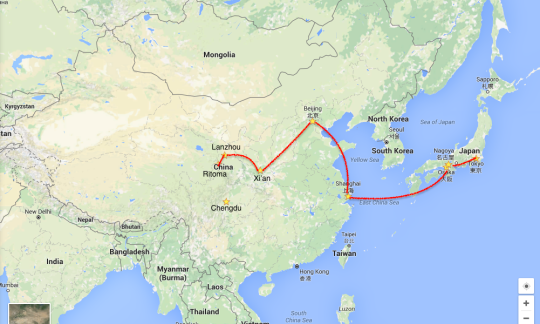 At some point while in Beijing, Willard (Bill) sent me a message asking if I wanted to meet in Lanzhou and take a 5 hour car ride to the small village where he worked as a basketball coach the previous year. Immediately I was in, this was the chance I was looking for to shed the busyness of the big cities and gave me a chance to see Tibet with a friend. The only background I had of Willard’s time there was that he helped coach the basketball team in the small village for roughly two months. He had mentioned a textile company in the area and that his return trip would involve working for the company. 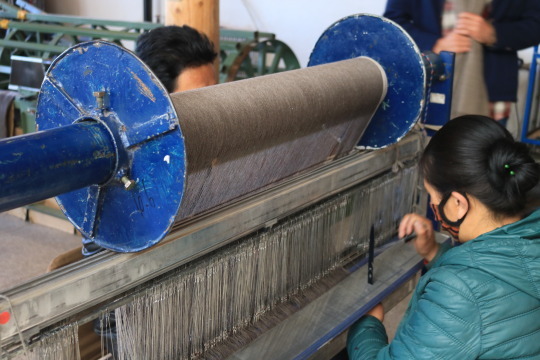 Norlha Textiles creates scarves, shawls, clothes, and hats from yak wool. 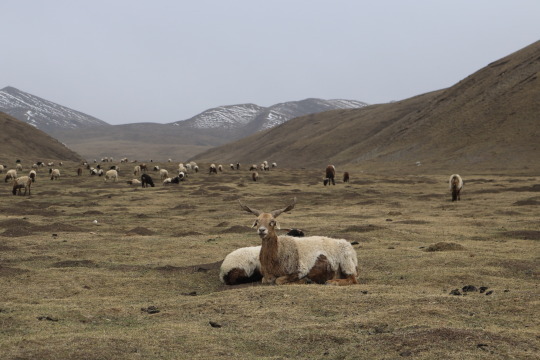 The wool is all gathered from Tibetan yaks by nomads and herders throughout the plateau, and then spun, woven, and sewed by the Norlha team in Ritoma, Tibet. As I would find out, this business is no joke and outshining many of the small companies I’m familiar with in the Bay Area in both product quality and working conditions. 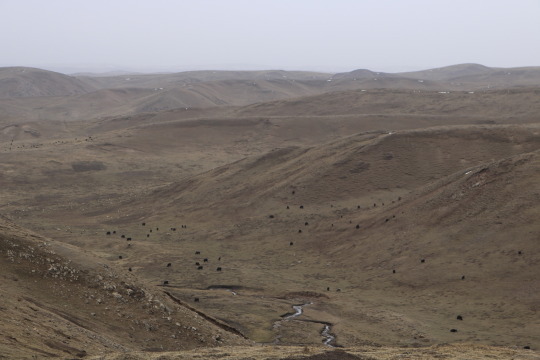 When I got on the flight for Lanzhou, I thought about the remoteness I was entering. No one I had met had been there before, and we were flying there before a five hour car ride to our destination. I was also told there wouldn’t be anyone speaking English, so if we got lost at the airport to try to find internet and worst case, take a cab into the city of Lanzhou and find a hotel for the night. Sure enough, the only other Westerners on my flight were seated next to me. The entire group was nice, a little bit ‘loud-American’ but pleasant nonetheless, and they couldn’t believe I was heading this direction on my own. Neither could I.
Luckily, I arrived first and sat in the airport Burger King waiting for Willard’s plane to land. At 6’9”, he’s not too difficult to spot, for me or our Chinese driver who saw him immediately. 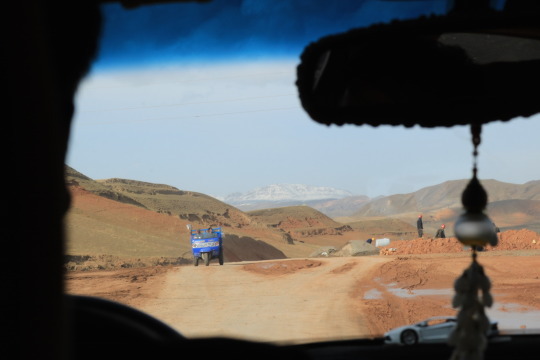 The drive up to the plateau was a great part of the trip and made me regret not taking a train in Lanzhou, had there been enough time. China has so many distinct terrains that a car ride or train, in which you see and feel the environments changing, adds tremendous perspective. Flying into Lanzhou, we were almost shuttled to the edge of the plateau, roughly 5,200 ft in elevation, but still had to climb to 11,000 ft. The driver didn’t speak a word of English but his car’s seat covers and embroidered pillows made the ride feel rather upscale. As we passed Lanzhou, there were large apartment complexes which hadn’t been completed and felt sizable enough to house entire communities. Looking back, these building projects are likely created through a slow process that allows the government to control employment and available housing. The site of giant, half finished, empty buildings however, is rather eerie. 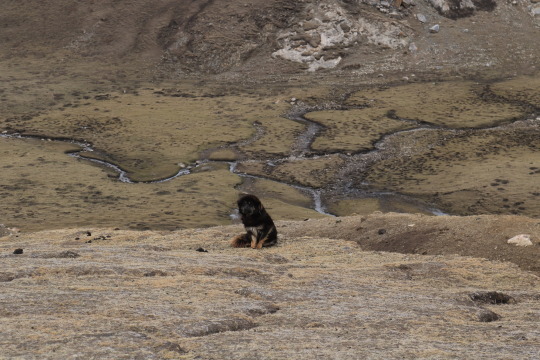 Two hours of driving moved us away from the urban environment and into the openness of Tibet. The highway was in great shape, felt new, and featured multiple long tunnels through the hills. 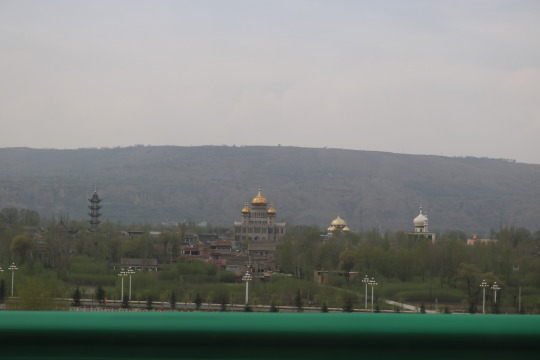 As we left the dense city, mosques began to pop up all over, highlighted by their large, often gold, tear drop temples. This wasn’t too surprising after seeing and meeting many Muslims in Xi’an, but they spoke to the size and presence of the religion in these parts. It’s crazy to think we were only half way across the country at this point, hundreds of miles of China lying to our west and north which is home to millions of Muslims. About an hour and half from our destination, as each breath became a bit less fulfilling than the last and snowy mountaintops could be seen in the distance all around, we stopped in the last small city to grab some food from a supermarket. The market was surprisingly big and sold much of what you would see at a US market. The main attractions were Bill and myself, mostly Bill, who was stared at and pulled in for pictures by the employees. Back in the car, we made the final leg of the journey along a mix of paved and dirt roads. 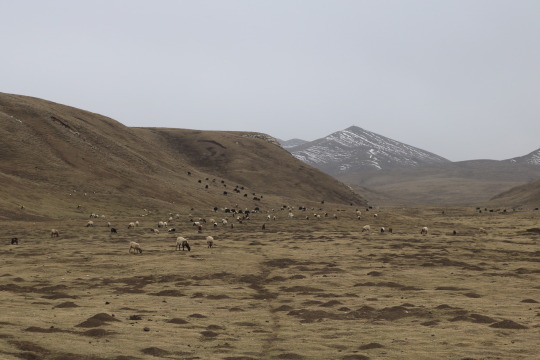 Slowly, we began to encounter the wildlife that the area relies on, beeping as we passed sheep and yak on and around the road. 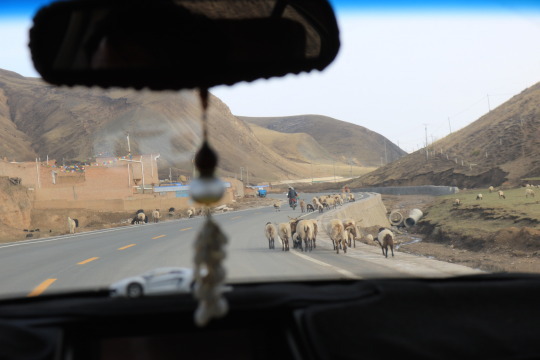 Beeping is a crucial part of driving there, as well as other parts of China, and drivers often beep the entire time they pass another car (or an animal). 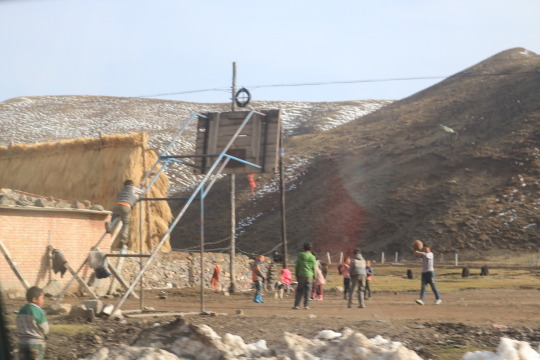 Each village we passed, some made up of just a few houses, featured a full length basketball court built next to the road. The road was mostly concrete here, still bumpy but flat enough for driving, unlike the plateau beyond the homes. At almost every basketball hoop were kids, hanging out and playing, unsurprising for a Saturday afternoon. 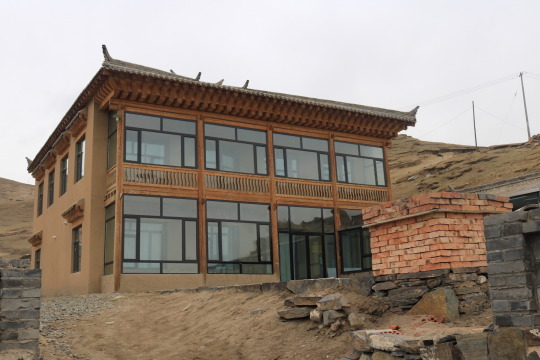 We pulled up the guest house, met Bill’s new boss Dechen, and headed in. The guest house, and all of Norlha’s buildings, sit next to the larger village and are far more comfortable than I would have expected. There is constant power and wireless internet, stronger than many other parts of China, and the design inside has a clean simplicity. I was caught off guard by the classic Chinese rosewood furniture and various textiles throughout the house; pillows, tissue box covers, blankets, all made from the awesome Norlha products. We sat down for tea and dinner with Dechen, her husband, her 6 year old daughter, an Australian working on IT for Norlha, and the daughter’s American tutor. The house’s main dining and living room looks out on the plateau from the second story and provides miles of views to the south, in the direction all the houses face. Starving from our long trip, I expected very little but we ate extremely well, as I would my entire time in Ritoma. Endless vegetable and yak meat dumplings, yak sausage, a barley and chard dish, barley crackers, and a dessert of yak yogurt and honey was more food than we could finish, presumably to be saved for the next day or the animals. The following morning we drove with Dechen’s family to the local town of Gannan, Labrang in Tibetan, to see the town while the family ran errands. 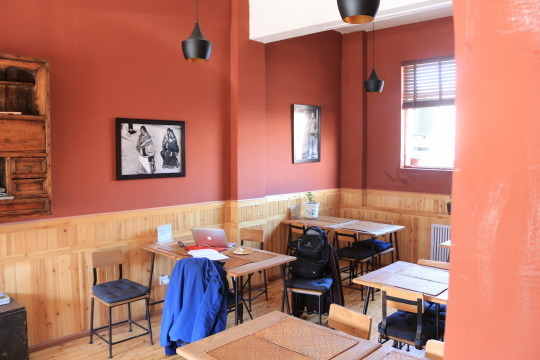 Beyond Norlha, Dechen and her husband own a cafe in Labrang that could have been placed in San Francisco and done quite well, with good coffee, surprisingly tasty cake, and again, fast wifi. It was hard not to think what a few months in this isolated place, going to the coffee shop each day, would do for my work and projects. After coffee, Bill and I wandered around the Labrang monastery, a maze of small roads and houses that leads to the central prayer room. One of six major Tibetan Buddhist monasteries, Labrang is now home to nearly 1,500 monks, young and old, that we saw walking around in their familiar red robes. It was an amazing experience to see the monks and locals walk around the shrines while clutching their bead necklaces and reciting lines under their breaths. As we approached the central prayer room, hundreds of monks exited and headed home, but it wasn’t hard to figure out what the young guys were interested in outside the faith, they all wore basketball shoes. 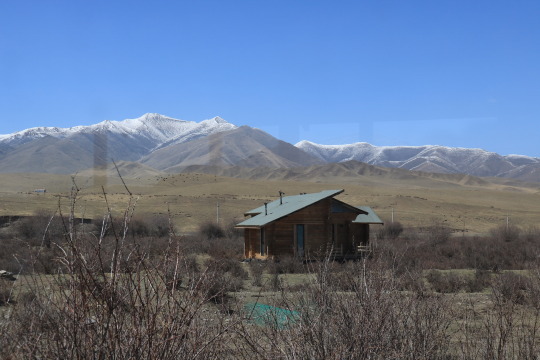 Dechen and her husband also run a ‘camp’ several miles away, where guests can stay in traditional yak skin tents, eat local inspired meals from the in-house American chef, drink and hang at the bar they built, and relax in the most open, peaceful place you could imagine. I was told that in the summer the entire landscape lights up with green grass and flowers, although the end of winter attitude I experienced felt perfect. 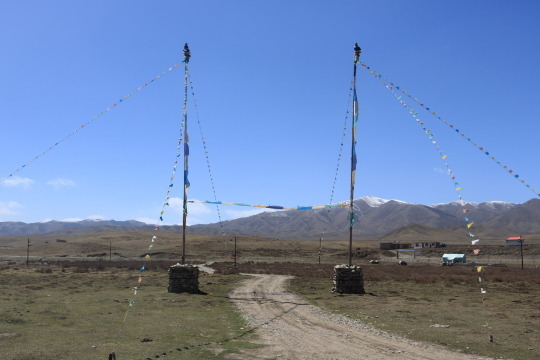 A familiar site in Tibet, the entrance to the camp was highlighted by Tibetan prayer flags, much like those you might see in Everest base camp pictures. 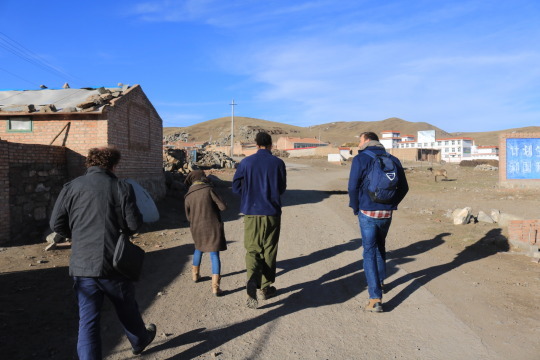 We made the nearly two hour trip back to the village that afternoon having finally understood the importance and size of the Tibetan community in this area. 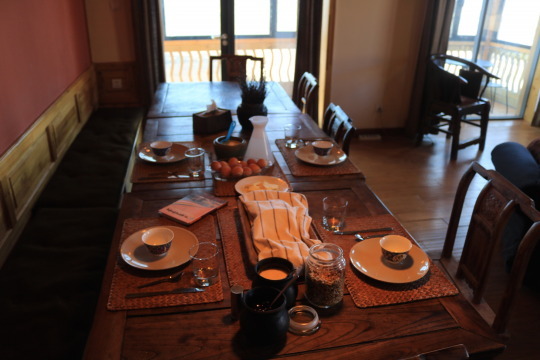 The following day, we awoke to a simple, awesome breakfast of eggs, bread, yak butter, yak yogurt, honey, jam, and granola. Similar to most of China, hot water was readily available at all times for instant coffee or tea. We got to the office around 9am and were teased for being the late Americans. 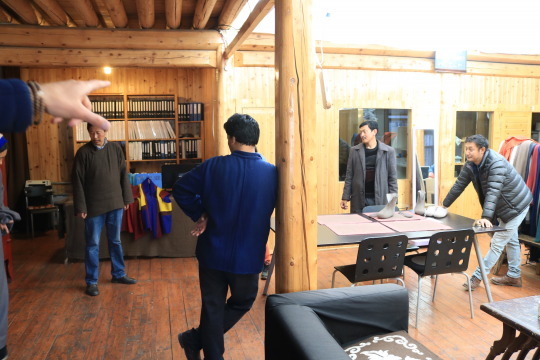 The management team was already working on new designs and products and Dechen took the time to give me the quick office tour. I was amazed how comfortable the office space felt, particularly from the natural wood that made up the interior. The management team featured several English speakers, but everyone except Bill, Mike the IT guy, and myself spoke Tibetan with one another. We moved between the weaving, sewing, dying, and felting rooms. In each building, up to twenty workers, all living in the nearby village, worked on different aspects of the textile process. 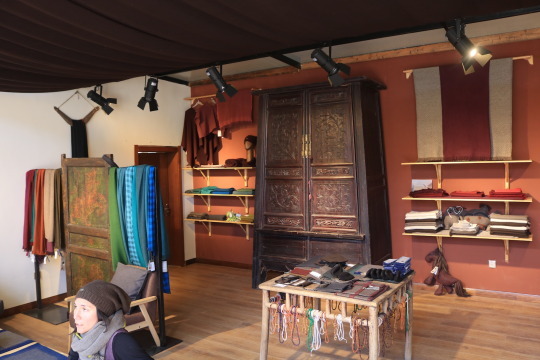 Dechen’s mother, Kim, had created the business as a way to combine her French upbringing and knowledge of the textile world with the enormous potential of extremely warm and soft yak wool that her husband’s Tibetan people are so accustomed to. 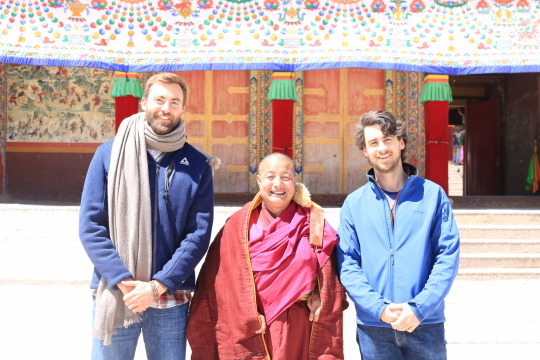 Dechen headed to Tibet after college in the US and backpacked for six months, moving from village to village to find the most suitable place to begin Norlha. Now in her 30’s, the business is productive and provides jobs for many of the locals. I can only imagine what it was like to decide on this location and watch the offices and manufacturing buildings rise from the plateau. The employees are artisans, creating physical goods from mounds of wool, threading them into thread and yarn, then using these to weave and create the cloth. The company sells these goods through multiple outlets, both white label goods to some of the world’s best retailers and more recently under their own brand name on their website and through other retailers. 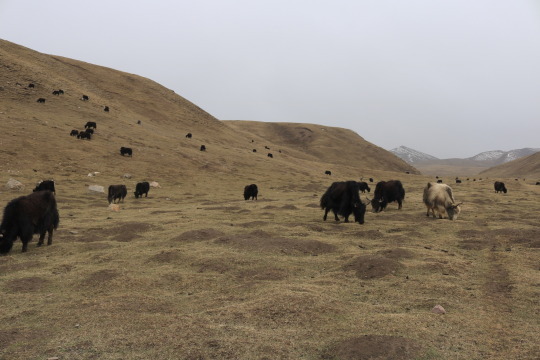 Many of the products are pure yak wool, while others are combined with silk and cashmere. At various points, the wool can be dyed, from the raw wool for felt, the threads which are then weaved into patterns, and the the entire pieces. The tour ended in the amazing showroom, where all of their products, place mats, scarves, stuffed animals, and clothes, are sold at outlet prices to lucky visitors. We were able to find time here to chat about the online business and driving traffic and sales to norlhatextiles.com. Immediately upon hearing Norlha’s story and seeing the awesome textiles throughout the guest house, I knew I wanted to be a part of its future. All the outsiders working there, from Bill the basketball coach to Andrew the tutor, put in work to shape and share the company’s message. I kept coming back to a conversation I had with a coworker when I recently bought my first camera. How do I take cool pictures? His answer: Go to cool places and take pictures. Forget about the lighting, the angle, or the aperture, great pictures have little to do with the photographer and everything to do with the subject. Norlha doesn’t need to stretch the truth to prove there are real people creating this clothing and building something more important than a company. It doesn’t need to create exaggerated stories about its beginnings to evoke real emotion about its purpose. What it needs is to tell its story. Have it’s picture taken. It’s easy to commit my time toward something so obviously successful. At this point, I had come to understand that Dechen is both a cool, Western educated girl as well as a smart, knowledgeable CEO. That night at dinner, I really got to understand how impressive she is while seeing into the real lives of some locals. The four Westerners and Dechen headed to one of the employee/shooting guard’s house for dinner. A 10 minute walk from the office, we headed inside Saru’s main living room, several futons along the walls and two small, wooden coffee tables with food. Plates full of fruit and cooked yak and sheep meat sat in front of us. Our host and his wife never sat down to eat but instead chatted as they brought dumplings in and filled our tea glasses with hot water. The Tibetan-English discussion all happened through Dechen. As dinner progressed, a conversation began with the final member of the dinner, a Nepalese man in proper slacks, button down, sweater vest and jacket. Complimenting his attire led to him discussing his childhood and the long road it has been to this place, where at 55 he lives in a room at Saru’s house and has nearly 40 years of experience weaving. He discussed his house in Nepal, which he builds with money saved from work, his childhood, how he began weaving so young, and his son who is also working in textiles. 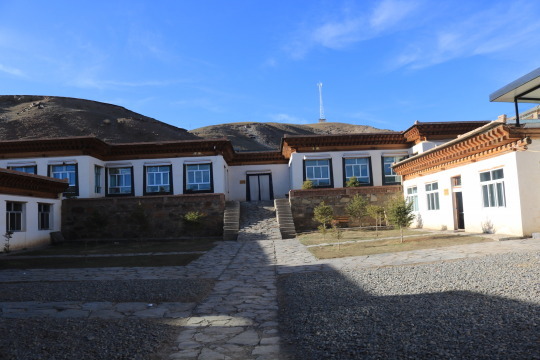 He arrived at Ritoma not knowing Tibetan, but emphasized his loyalty toward Norlha and his regret at not having attended school to learn English. Perhaps most amazing was Dechen’s ease at translating the entire conversation between English, Hindi, and Tibetan. That was the coolest dinner and story I’d ever heard. The final day there, after hanging around the office, I followed Bill’s advice and headed for a long walk. The amount of open space was breathtaking. 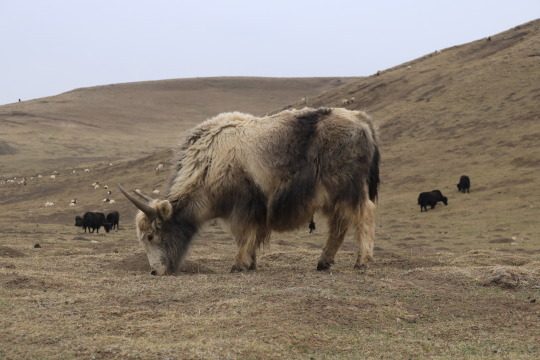 At the top of a hill, yaks look like bugs and there is nothing in all directions except mountains that are miles away. Walking up on a dog was a welcome surprise, a dangerous encounter with one of the world’s most vicious dogs that I didn’t fully appreciate until later. The following morning, I purchased several scarves and shawls from the showroom as gifts and took a lonely taxi to the local airport. The airport only had two flights that day, mine at noon and another three hours later. 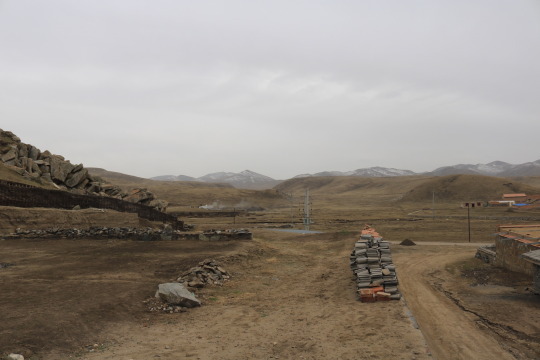 Flying from this small, local airport saved me a 5 hour ride to Lanzhou. I got on the plane at that small, desolate airport, knowing I would be back.